Dr. Mark Wilson has been chosen to receive the Council on Undergraduate Research-Geoscience Division’s prestigious Undergraduate Research Mentor Award. 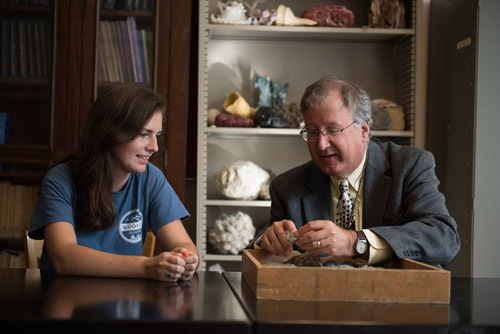 Dr. Wilson works with junior Geology major Sarah McGrath in the Paleontology lab. Congratulations Dr. Wilson – well deserved (read the College release here).